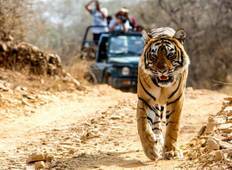 Find a Tiger trip that explores Ranthambore National Park. There are 51 tours to choose from, that range in length from 3 days up to 20 days. The most popular month for these tours is October, which has the most tour departures. 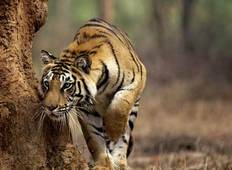 "My daughter and I travelled our first 8 days in India on this tour. It was a fantastic..."
"We had a wonderful experience during this trip from start to finish. They organised..."